I remember 21st Feb, 1991 quite vividly. My siblings and I had just gotten back from school. 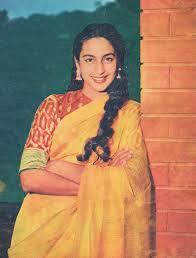 Over lunch, my mother mentioned that the actress Nutan had died earlier in the day. She was one of my dad’s favourites. 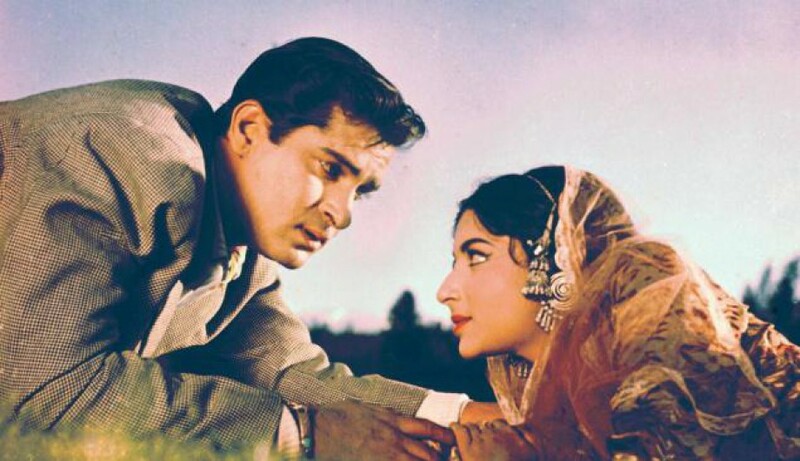 We had heard him go on and on about her and Waheeda Rehman – about how the so called heroines of the (then present) time can never match up to the above-mentioned legends. On her twenty-fourth death anniversary, instead of doing a ‘My favourite songs’ post, I decided to re-watch two movies I had liked (ages back when I had seen them) and review them here. So here is the first one. Produced, written and directed by the highly educated and impressive S.D. 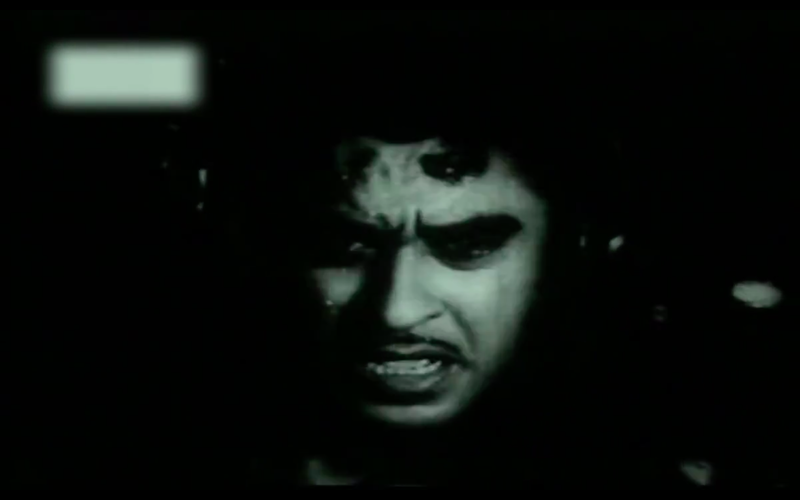 Narang, Dilli Ka Thug starred the irrepressible Kishore Kumar with a sweet Nutan. As the opening credits rolled by, I was happy to see names of actors I like – Iftikhar, Tun Tun, Kumud Tripathi (whose name I learnt recently from Anu) and Smriti Biswas. 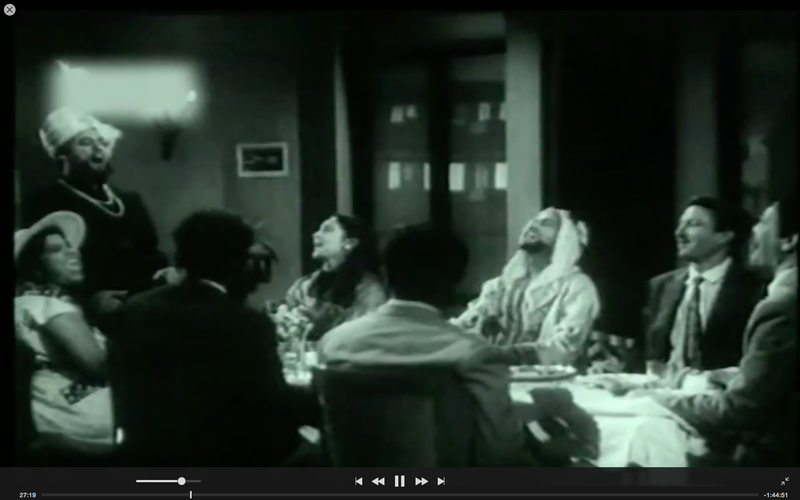 The music was by Ravi and the lyrics by Shailendra, Majrooh and S.H. Bihari. As most movies of the 50s had a social message as its theme, so did this one. The evil that is mentioned in this message and in the movie is about the manufacture and sale of spurious and fake drugs. We meet Kishore, a young out-of-work reporter living with his mother (Protima Devi) and sister, shortly after his father’s death. In a bid to keep the kitchen fires burning, he takes to gambling. 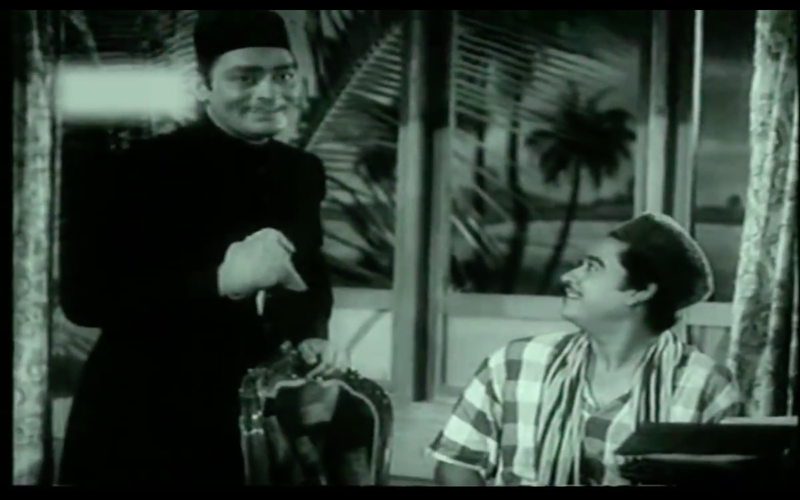 As the credits roll, Kishore is seen in different ‘bad’ and ‘see-through’ disguises as he escapes after cheating the local don at the gambling adda. The mother hears about it from a well-meaning neighbour (of course, how else?) and obviously disapproves. Mom and son have a showdown with the mom refusing to use his ‘dishonest’ money. So he walks out and spends the night on a bench in a park. The next morning, he meets his good-for-nothing friend, a petty pickpocket (Kumud Tripathi in another funny role; I recently discovered this actor when I watched Apradhi Kaun). and they bump into the local don. After another round of hide-and-seek, Kishore lands up at the Inter provincial swimming competition. This is where he sees the sweet Asha (Nutan, in a swimsuit – a rather modest, schoolgirlish one but still a swimsuit). Not surprisingly, she wins the competition – and Kishore is smitten. Now there is a back story. Asha and Kishore had been engaged to each other in their childhood but her uncle had spurned Kishore’s mother recently. Kishore boasts to his friends that he knows Asha. They do not believe him. To prove his point, he tries to meet and talk to her – first at the venue; and then later at her hotel, pretending to be a reporter. She is amused and irritated by his antics and indulges him till the actual reporter shows up. Meanwhile, we are introduced to Asha’s uncle, Prof Amarnath, who masquerades as a novelist and writer while being a feared gang leader dabbling in spurious drugs, named Anantram. His sidekick and close associate is a young Madan Puri who is called Bihari here. We witness a scene when a friend of Kishore’s named Sohanlal, (an accomplice of Bihari and Anantram) comes to Bihari and tells him that he wants out from this bad line of business. He promises to return to Bihari a letter that incriminates Amarnath/ Anantram. That is not to happen – Sohanlal’s pocket gets picked by Kishore’s other friend. The letter is in that. Kishore sees the wallet, recognises it to be his friend’s and decides to return it. 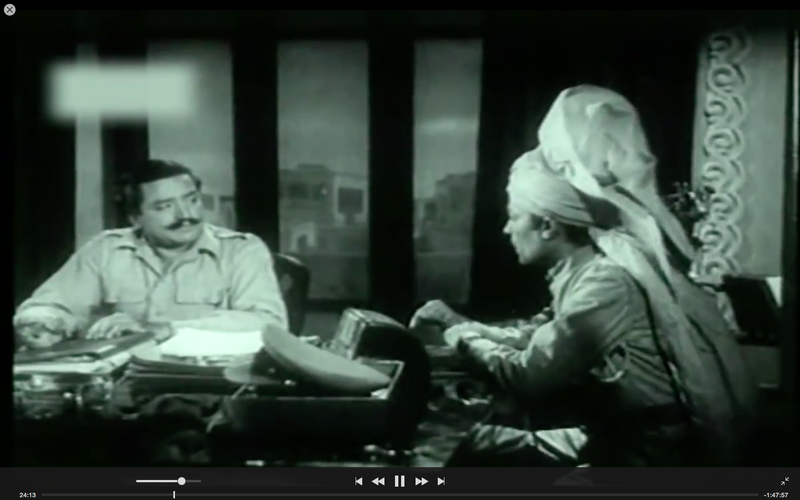 Sohanlal goes to meet Bihari and Anantram to return the letter and naturally does not find it. He comes back, knowing fully well that his life is in danger. He calls Inspector Singh of the Daryaganj station (a young Iftikhar) and tells him that the dreaded Anantram is alive and flourishing in Mumbai. He promptly gets killed by a man with a burnt face. 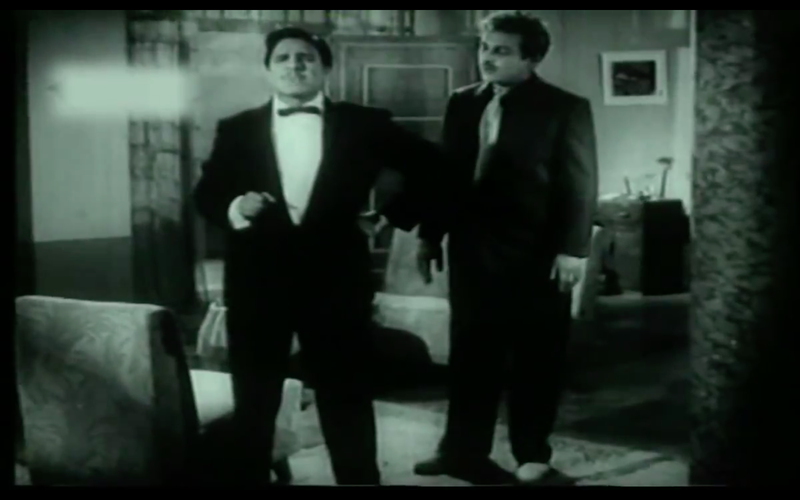 Kishore lands up at the flat to return Sohanlal’s wallet and bumps into this mysterious man and gives him a chase. Kishore does not find him as the mysterious man dons a mask and lo, becomes Prof Amarnath! Kishore who comes back to find that Sohanlal is dead testifies to Inspector Singh about what he had seen. Inspector Singh (Iftikhar) is a smart, earnest guy. He believes what Sohanlal had told him and figures out that the man with the burnt face had to be Anantram. He also wants Kishore to start working with him to crack the case as Anantram had murdered his dad. Kishore lands up in Bombay, apparently looking for a job – but actually ‘stalking’ Asha. 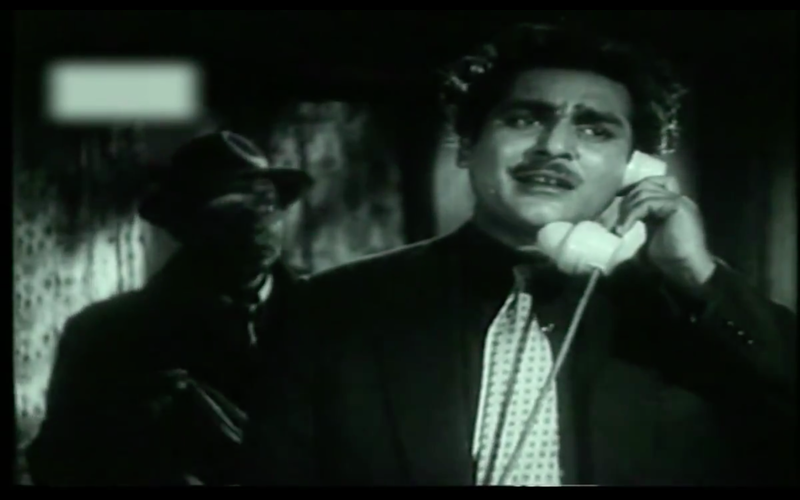 Inspector Dilip Singh also lands up in Bombay to nab Anantram. We also find out from the Inspector that Anantram is supposed to have died in a plane crash, in which Asha’s uncle was one of the survivors. Now we also find out from Anantram/Amarnath and his moll, the pretty Smriti Biswas, that Amarnath died in the crash and Anantram survived. Since, then thanks to a very convenient mask, Anantram is posing as Amarnath. Kishore goes straight to Asha’s place, blabs to Amarnath about the ‘Anantram case’ investigation, giving the villain and his cronies advance notice. Amarnath gets Kishore a job and the rest of the story is as to how Anantram gets exposed! 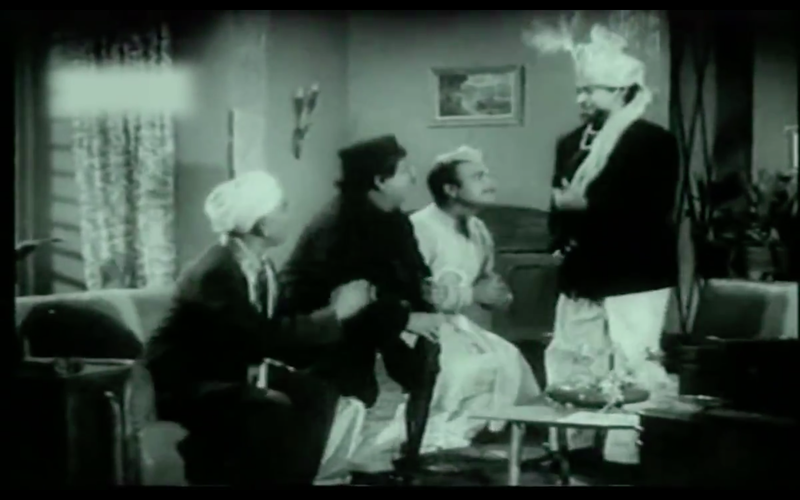 There are some hilarious scenes- mostly involving Kishore in his various disguises when he tries to con first three rich businessmen – caricatures of a Nawab, a South Indian and a Parsee and then later his employer, Sewak Ram. 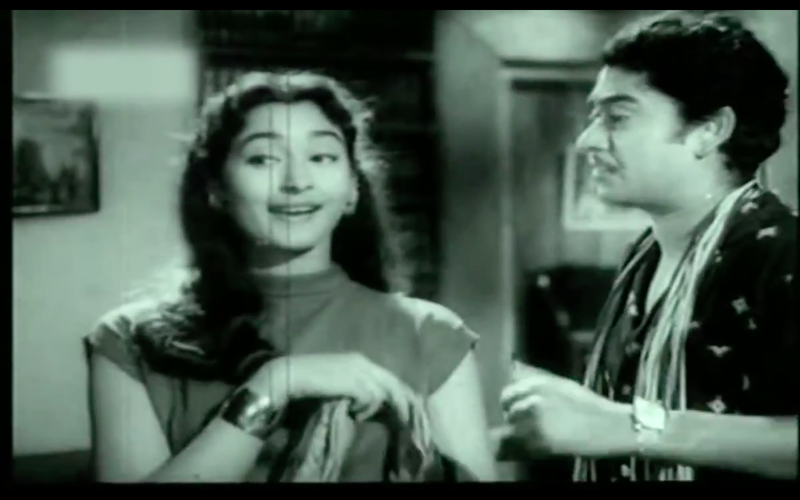 The romance also progresses – what with Kishore stalking Asha and clowning around in front of her (aided by some lovely songs), till she finally relents. Their story does develop a hitch, when Kishore gets implicated after his friend’s child dies after having some ‘nakli dawai.’ (Kishore is the salesman at that Sevak ram company that makes these counterfeit dawai. The friend had got these medicines from Kishore – so Kishore gets arrested. He protests his innocence.) Incidentally, Asha is the proprietress of the company making these counterfeit drugs. So there is some drama till it all gets sorted out in the end. 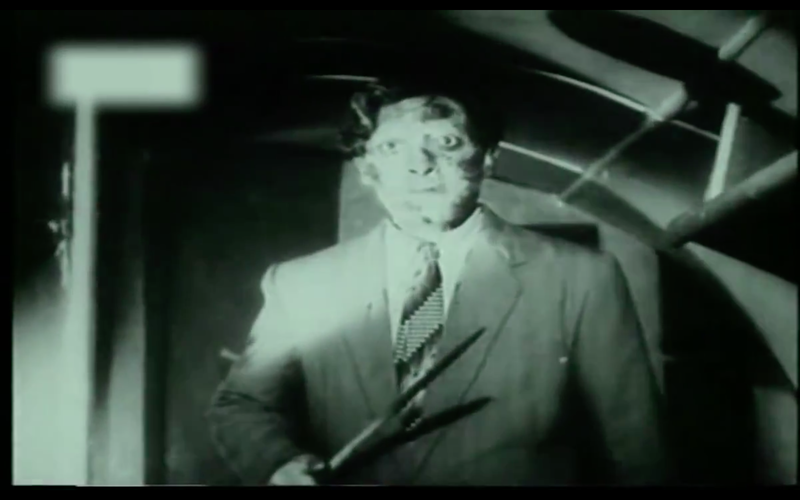 It ends with a thrilling sequence in an airplane; in which Kishore exposes Anantram after a fight sequence; Asha shoots Anantram and they both steer the plane to safety after the pilots have been shot dead. 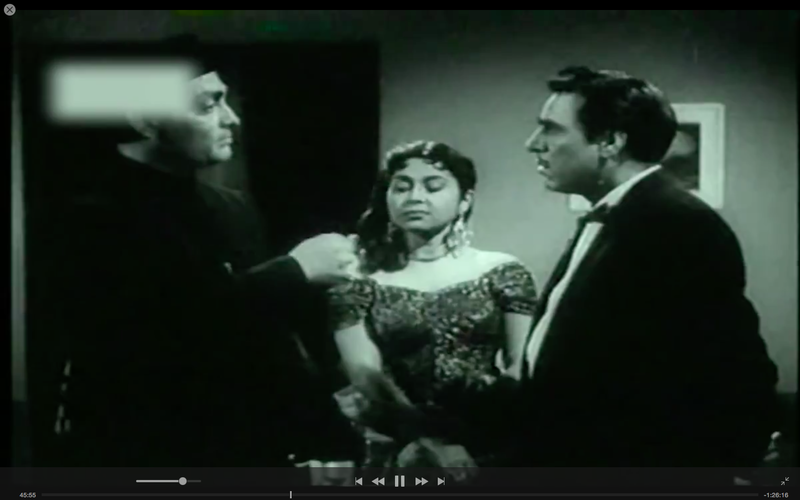 My two cents: Dilli Ka Thug is a nice movie – largely because of Kishore Kumar and his crazy antics. The movie, in its madness, is reminiscent of the Elizabethan dramatist Ben Jonson’s plays. Disguise played a very important role in Jonson’s plays. A major theme in his plays was the exploration of the forms of deception. Which is what we have here in this movie. Both Kishore and Anantram don disguises but the intent is vastly different. Kishore’s deception has a benign intent. He first uses those disguises mainly to eke a living and then later to woo Asha. On the other hand Anantram’s disguise is sinister. He impersonates a dead man (Prof Amarnath), dupes the dead man’s niece and friends, and uses the dead man’s assets and belongings to perpetuate his evil empire. Added to this, there is Kishore Kumar’s relentless and goofy energy. It is infectious and endearing. He jumps, leaps, smiles and clowns and the result is sweet. And then you have Nutan. She is very pretty and charming. She plays a perfect counterfoil to the crazy Kishore with a gentle sweetness. 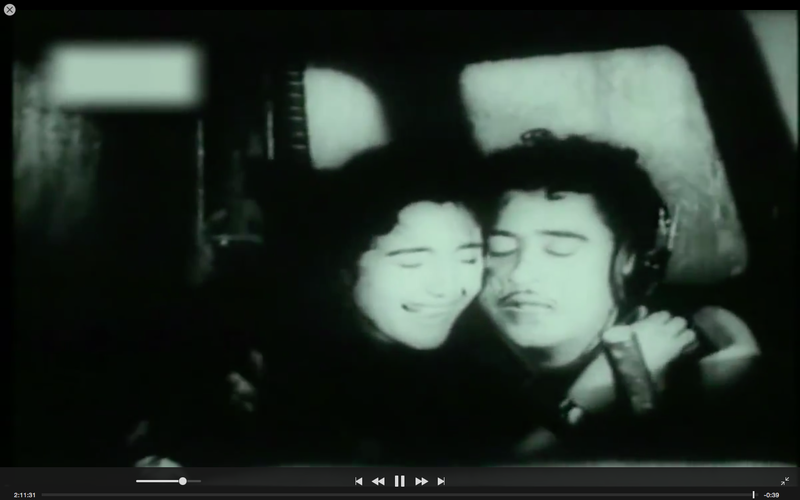 She is a steadying, calm influence, as Kishore Kumar invades the screen with a manic energy. What I particularly found interesting is that her character is a multi-faceted woman – Asha is a champion swimmer, doctor and owns a pharmaceutical company. It is of note that Nutan chose some very interesting roles (particularly pre-1965). Within the framework of what a heroine would do in those times, she explored a variety of characters – a Harijan girl (Sujata), a modern career woman (Dilli Ka Thug), a juvenile delinquent (Seema), a convict (Bandini) to name a few. Within the constraints, all these characters were strong, self-willed women – with a voice and identity of her own. Much in contrast with the roles she picked post-1965, where she was the ‘self-sacrificial devi‘. But in Dilli Ka Thug, thankfully there is no sign of that! Delightful, gentle and absolutely lovely, Nutan excels as Asha. The music is wonderful. There are some classic numbers – the crazy solo, Hum toh Mohabbat Karega and that amazing Geeta Dutt solo, picturised on Smriti Biswas, Oh Babu Oh Lala. And we have the two Kishore-Asha duets. Nutan is shy and romantic (and oh-so-beautiful) in Yeh Raatein Yeh Mausam. 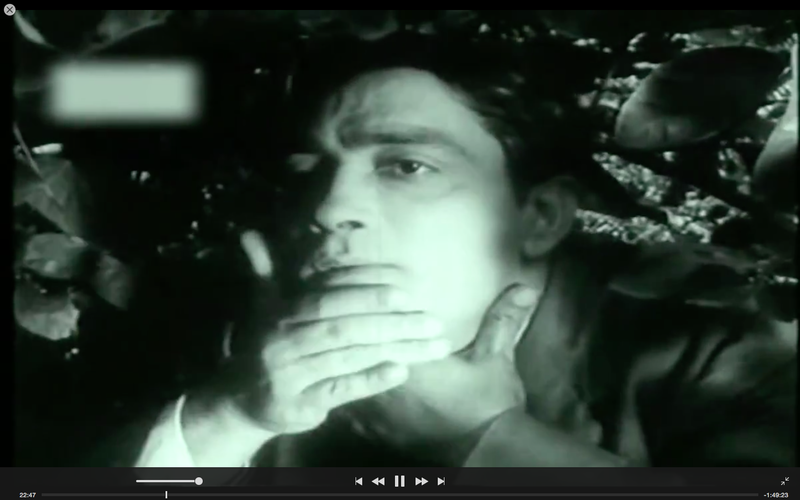 Kishore Kumar is restrained and there is no clowning around as he assumes an air of gentle earnestness – a man in love. The other song, C.A.T Cat maane billi is an absolute contrast. It is goofy and mad and delightful. Asha Bhosle infuses this with much needed vigour as she keeps pace with Kishore Kumar in the singing department. Nutan is very cute as she matches up to the crazy man – who literally has been let loose! All in all, DKT is a sweet movie. Not the finest of comedies, but hey in today’s age of Golmaal 3’s and what else passes off as comedies, this is a classic! This entry was posted in Movie reviews, Old Hindi songs and tagged Iftikhar, Kishore Kumar, Kumud Tripathi, Nutan, Protima Devi, Ravi, S.D.Narang, Smriti Biswas. Bookmark the permalink. Ha ha ha…this sounds hilarious. Not only does the movie sound hilarious but the way you have written this is quite humorous. 🙂 It’s interesting, isn’t it, how we can watch the same movie and come away with such different viewpoints? 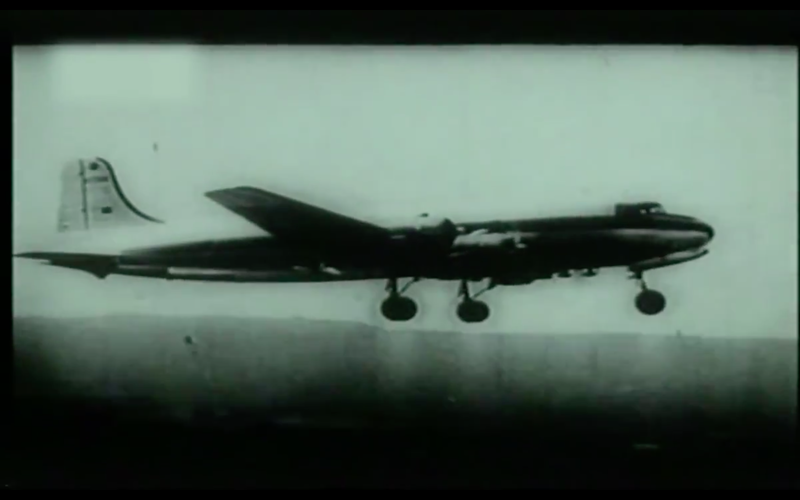 Actually, that is what makes films so interesting – it is very difficult to arrive at a consensus. I was just writing an article where I made this point – that we all take away such different things from the same film, it is like we’ve watched completely different films altogether. 🙂 yep, very interesting. 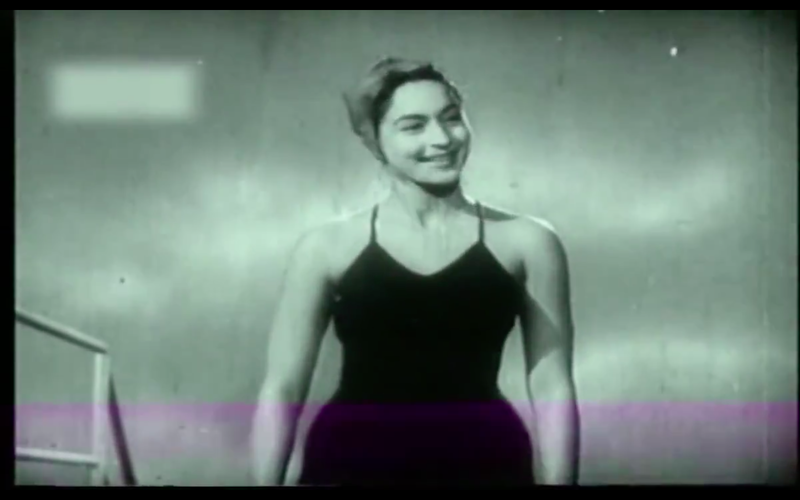 I quite liked DKT; but I also admit I watched DKT yesterday – with a completely biased view – I adore Nutan and she is lovely in this movie – and the fact that her character is a swimmer, doctor and businesswoman. 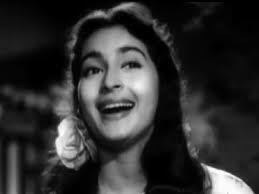 I have to admit, the only two things I like about Dilli ka Thug are Nutan (who’s lovely and chirpy and likeable as always) and the songs, which – barring C-A-T cat – I love. Kishore’s antics really bug me here (frankly, the only films in which I’ve actually been amused by his antics are Chalti ka Naam Gaadi and Pyaar Kiye Jaa – and, to some extent, Padosan. Plus, both times I’ve watched this film, I’ve come away with an impression of something rather NA Ansari-esque: confused, cluttered, not quite coherent. Very pleased to read the thoughts of another Nutan lover, and Dilli ka thug! Indeed the film is completely incoherent, as Madhu says, but it’s a pretext to enjoy the actors! And If you find Yeh raate yeh mausam “oh-so-romantic”, you’ll have to check what I thought about it! I devoted a whole post to the song! Hello, I told Madhu some weeks back when I met her, that when I was reviewing Dilli Ka Thug, (and this applies to any other Nutan movie, to be honest), I do not review it very objectively. I kind of overlook the obvious flaws (which would have bugged me in any other film), all because I keep staring at the screen. 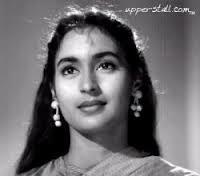 I do adore Nutan you see. Yes, I will check out your post on ‘Yeh raate yeh mausam‘. Was reading your post on Baarish right now.